Bro. Quebe stands alongside men like Joseph Speight and few others as one of the most influential men in the history of Waco 92. His service to our lodge cannot be overstated. It can be accurately said that from 1913 on into the 1960s, William Quebe was the ever-steady heartbeat of Waco 92. It is no wonder, then, that our current Masonic temple is named after him and we have met in Quebe Temple since 1969. He was born in McGregor on December 12, 1886 and he attended public school there before going to Luther College in Brenham and Toby’s Business College in Waco. There is a street and bridge named after his father southeast of McGregor off of Indian Trail Road. Quebe worked for Nash, Robinson Lumber Co. for thirteen years until 1920. It was then that one night while working on his car, it became loose and rolled on top of him. On the verge of death, he was relieved by Waco 92 when the members stepped forward and paid his medical expenses. As a result, he devoted his life to masonry in 1920 by assuming full-time positions as secretary and recorder at Waco 92 and Karem Shrine. From 1913 to 1970, Quebe worked as an officer of Waco 92. He filled all the chairs at Waco Commandery 10 and was a member of the Royal Order of Jester as well as the Red Cross of Constantine. At the end of 1951, he was crowned Inspector General Honorary of the 33rd Degree by the Scottish Rite for which he was always fast at labor. While our own Alva Bryan was Grand Master, it was Quebe that served as District Deputy Grand Master for our district. The leadership of those two men has never been surpassed at our lodge so that year must have been truly remarkable. In 1915, Quebe sent out a rather humorous letter to Shriners across Texas. 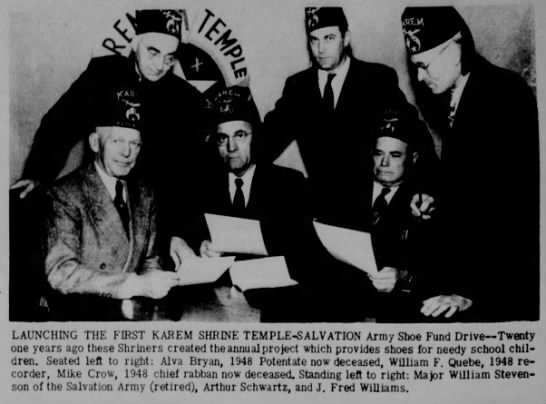 In it, he invited all Noble Shriners to the Cotton Palace Expo and a ball being held there in conjunction with the Karem Shrine. It was expected that all Brothers bring ladies, but if someone should expect not to have a lady with them, Quebe suggested that they write him a letter ahead of time so it could be arranged that “a beautiful young lady will be in waiting” to accompany them upon their arrival to Waco. Quebe also spent many years as an officer for other masonic organizations. In 1919, he was elected as secretary of the Waco Scottish Rite Club and he remained in that capacity until 1953 when the Waco Scottish Rite Association was formed and he served as secretary for that group until they made him vice president. 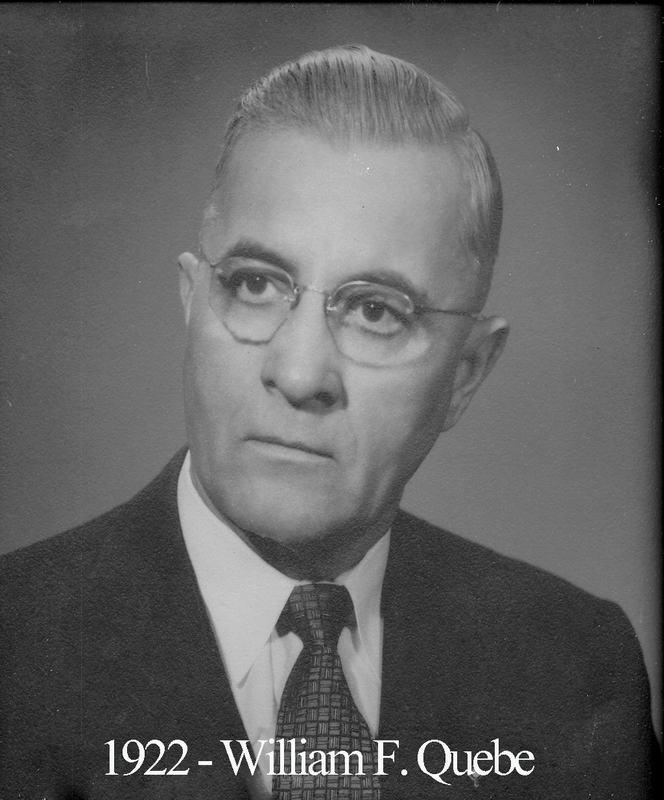 On October 24, 1957, Quebe was one of few men selected for the Organizing Committee that created the still active Waco Scottish Rite Bodies.